A NASA team already is using Mars Trek to aid in the selection of possible landing sites for the agency’s Mars 2020 rover, and the application will be used as part of NASA’s newly-announced process to examine and select candidate sites for the first human exploration mission to Mars in the 2030s. Mars Trek was developed by NASA’s Lunar Mapping and Modeling Project, which provides mission planners, lunar scientists and the public with analysis and data visualization tools for our moon. LMMP is managed by NASA’s Solar System Exploration Research Virtual Institute at NASA’s Ames Research Center in Moffett Field, California. 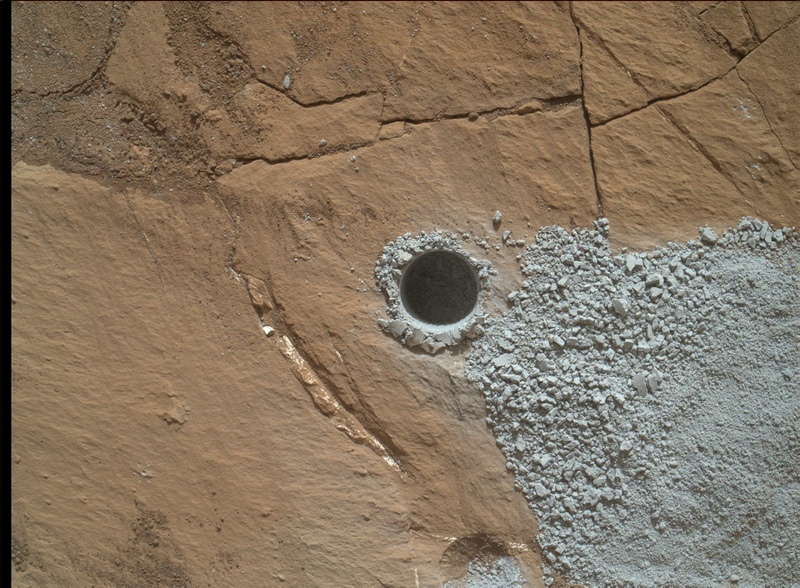 NASA’s Curiosity Mars Rover drilled this hole to collect sample material from a rock target called “Buckskin” on July 30, 2015, about a week prior to the third anniversary of the rover’s landing on Mars. The diameter is slightly smaller than a U.S. dime. 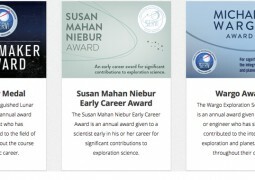 “We’ve done a lot of heavy 3-D processing to make Experience Curiosity work in a browser. Anybody with access to the web can take a journey to Mars,” said Kevin Hussey, manager of the Visualization Applications and Development group at NASA’s Jet Propulsion Laboratory (JPL) in Pasadena, California, which manages and operates the Curiosity rover. Curiosity’s adventures on the Red Planet began in the early morning hours of Aug. 6, 2012, Eastern time (evening of Aug. 5, Pacific time), when a landing technique called the sky-crane maneuver deposited the rover in the 96-mile-wide Gale Crater. From there, the rover began investigating its new home, discovering it had landed near an ancient lakebed sprinkled with organic material. Billions of years ago, fresh water would have flowed into this lake, offering conditions favorable for microbial life. NASA has been on Mars for five decades with robotic explorers, and August traditionally has been a busy month for exploration of the planet. Viking 2 was put into orbit around Mars 39 years ago on Aug. 7, 1976, making NASA’s second successful landing on the Martian surface weeks later. MRO was launched on Aug. 12, 2005 and still is in operation orbiting Mars. And, Tuesday, Aug. 4 marked the eight-year anniversary of the launch of the Phoenix mission to the north polar region of the Red Planet.